Sporadic small explosions continue at the New SE crater sometimes with pyroclastic material ejected outside the crater. In April the seismic tremor was characterized by regular cyclic increases of amplitude forming evident stripes on seismograms. 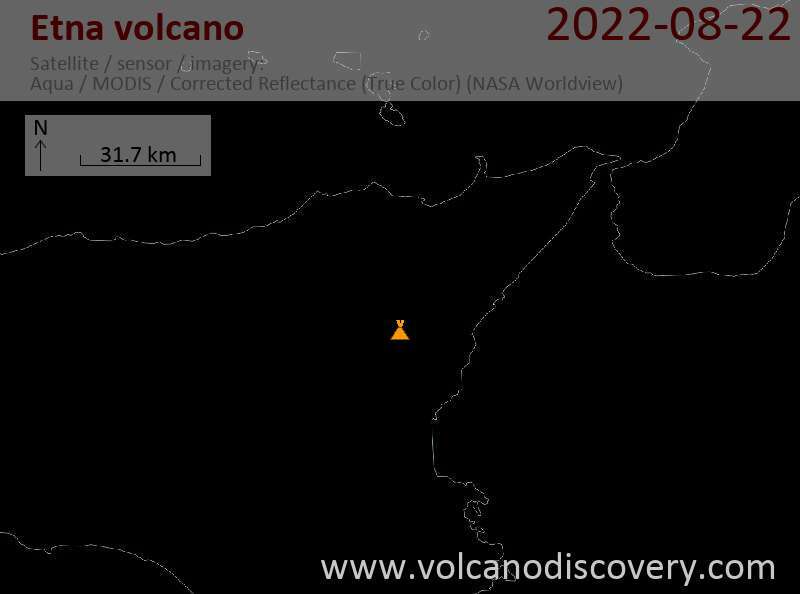 This phenomenon called "banded tremor" gradually became less evident and ended on 2 May coincident with a strong seismo-volcanic event occurred most probably at the Bocca Nuova crater. 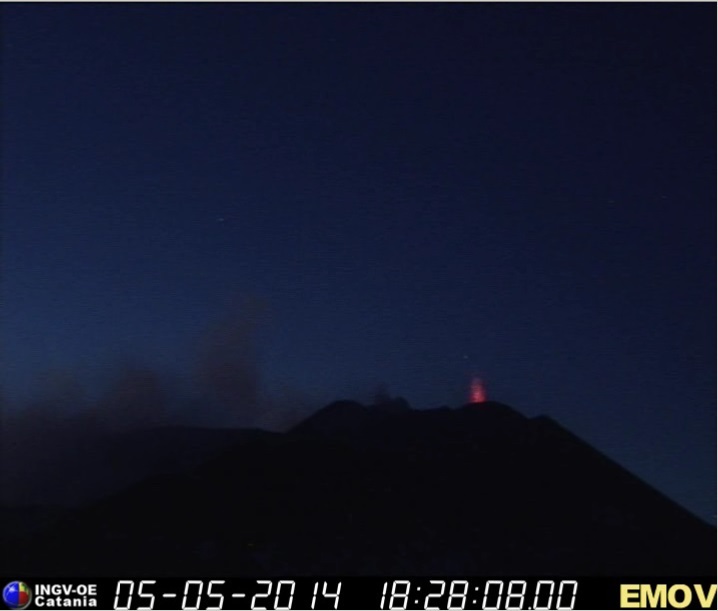 Happy Easter 2014 from Etna !